Hannah Dreier of ProPublica wins the October Sidney Award for The Runaways, an audio feature co-produced with This American Life that exposes the Suffolk County Police Department’s negligence and callous indifference when confronted with a wave of missing Latino teenagers. 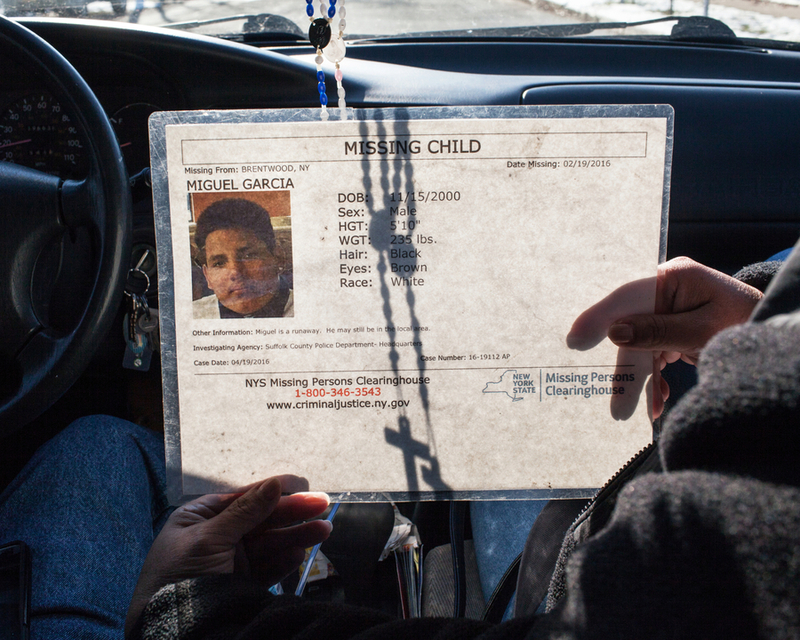 In all, 11 Latino teenagers went missing in 2016 and 2017. Suffolk County Police officers insisted the teens were runaways, even though their parents begged them to investigate the disappearances. The teenagers turned out to have been murdered or victimized by the MS-13 gang. The story is already having a positive impact. The Runaways prompted the Suffolk County PD to launch an internal investigation. Hannah Dreier is a reporter covering immigration for ProPublica. Previously, she served as the AP’s Venezuela correspondent for three years. She is the recipient of multiple prestigious journalism awards. Q: How did you become interested in MS13 on Long Island and how long have you been reporting on the gang? A: I first went out to Suffolk County after President Trump gave a speech about MS-13 there in July 2017. This was back when Immigration and Customs Enforcement raids were starting to pick up, and I wondered if immigrants might be feeling more scared of ICE than of this gang. But actually, person after person told me they were terrified of the gang, and couldn’t get police to help them. I realized there was a different, much more complicated story unfolding, about police bias. I met Carlota Moran, the mother of the first MS-13 victim who Long Island police wrongly listed as a runaway, in August 2017. It took a while to build trust with her and other parents, and even longer to get all the documents that underpin this reporting. It was a good reminder for me of how hard it is to tell the direction and scope of a story before you’re on the ground. Q: Many of your subjects speak only Spanish. Tell us about your process for overcoming the language barrier. For example, do you report in Spanish, did you use interpreters, and so on? A: I grew up speaking Spanish, and it’s been a big help. A lot of the early reporting I did for this story involved just sort of hanging out in people’s homes, which would have been hard to do in a low-key way with an interpreter. I think many MS-13 victims on Long Island were frustrated by the language barrier they faced not only with the police, but also with the media. I saw this issue first-hand one day when I tagged along with Carlota to a Trump event. There were a bunch of reporters outside, and everyone sort of mobbed around Carlota when they realized she was the mother of a boy killed by MS-13. But they couldn’t speak Spanish and she couldn’t speak English, and so even though there was this huge media spotlight on her that afternoon, her story didn’t really get told. Q: Was this your first foray into podcasting? Q: What was it like working with This American Life to tell an audio story? A: I’ve listened to This American Life since I was a kid, and have been inspired by the show’s hour-long takes on big topics. But it turned out I knew very little about how to create a radio story. I was really lucky to get to work with brilliant This American Life producer Dana Chivvis. Dana identified tape that I’d discounted because I didn’t think it was going to add to the text version of this story, like a combative interview I did with the man who was in charge of the Suffolk police during the wave of MS-13 murders. And the voice messages Miguel exchanged with the boy who lured him to his death. She had a genius for translating complex background information into conversational language. And she was also really committed to finding excellent interpreters who could be the radio voices of the Spanish-speakers in the story, which is a lot harder than you’d think. Q: Did anything funny or unexpected happen in the course of your investigation? A: I loved the accents on Long Island. And the Spanish rap teenagers out there listen to. But most of the unexpected things were more upsetting than funny. For example, I was looking into the case of one Long Island boy who had been missing for 13 months. His father felt police were not taking the case seriously. I was going to do a sit-down interview with the family about their concerns, but then the night before I was set to go talk to them, the FBI found the boy’s body buried in the woods. He had been killed by MS-13, just as his father feared. Q: What journalistic lessons will you carry forward to your next investigation? A: There’s much more power than I realized in letting people hear things for themselves. I had this secret recording of a Long Island detective refusing to get an interpreter for a father who was worried his daughter had been raped. I could summarize that recording in a text story, but with radio, we just played the tape of the detective ignoring the father’s requests for an interpreter. It was clear how dismissive he was being without me having to step in and explain. After the show ran, Suffolk legislators held a hearing to discuss our findings. Police bias issues go back a long way out there, and we were not the first to talk about them. But the legislators said it was the first time they had heard clear instances of bias with their own ears. They said that was what made them feel they had to take action. Q: What are the causes of the Suffolk County PD’s dysfunction and how does the department need to change to better serve the Latino community? A: What’s so insane about this story is that Suffolk police have been under Department of Justice supervision since 2013. Every year, the DOJ makes recommendations about how to correct these bias issues. One thing the DOJ keeps saying is that detectives should consistently use interpreters to communicate with Spanish-speaking crime victims. That seems like a pretty good starting point. Suffolk County legislators are now having the police department investigate the issues raised in the story, and local politicians are supposed to meet with Latino advocates and police officials this week to talk about what happened and what can be done to improve things going forward. The immigrant sources I’ve touched base with since the story ran–who spoke up despite their fears of the gang, the detectives they were criticizing, and ICE– say they feel cautiously optimistic.